This section presents free classified ads for Car parts for sale, vehicle parts for sale, car accessories for sale for sale and to buy in Limerick. FREEADS in Ireland is a platform to post efficient advertisements or classifieds in Limerick. We help you find, buy, sell, rent or hire apartments, various goods for sale, local services offerings, cars, jobs and many more in Limerick. If you are not happy with ads you see on this page please use search box above to find other items for sale in category Car parts for sale, vehicle parts for sale, car accessories for sale and location Limerick or select another category. Chinahanji Power Co., Ltd http://www.chinahanji.com Chinahanji Power Co., Ltd We are the OEM who has specialized in manufacturing of diesel fuel injection system for quite a few years. Our products include nozzle, elements & plunger, delivery valve, VE-pump and so on. All products are in higher quality with competitive price. Dog Guard for Hyundai IX 35, Fits between back seat and boot area, Cost up to €200.00. Will sell for Fifty Euro. ring 0876617636..
engine with gearbox, , vacu pump, mileage 150 000 km, co.limerick, (sold is:clutch and alternator), 700 euro, 0872953704. 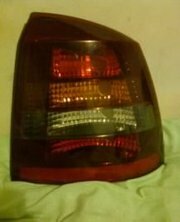 FOR SALE 2003 opel astra 3 door hatchback taillight good condition no cracks or chips €30 ono call 0858101854 after 6 no private numbers. SAVE on Fuel Costs! Canada's Answer! Proven Canadian Fuel Savers. 7 year track record. Gas or Diesel. patrickmurphy0209@gmail.com or Skype patrickmurphy5902. 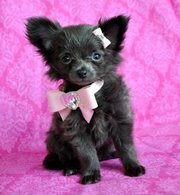 We are looking for a new home for our lovely chihuahua puppies . "I Can't wait to jump into your arms, I am Donnie and I am such a sweetie. I love to cuddle and give you sweet puppy kisses. As soon as you meet me you will be in love! I want you to be my new best friend and I am lonely with out you! I am current on my shots and de-wormings and I will have a full health check before I arrive to you. Ireland free ads for Car parts for sale, vehicle parts for sale, car accessories for sale, Limerick, Car parts for sale, vehicle parts for sale, car accessories for sale free ads Limerick, Car parts for sale, vehicle parts for sale, car accessories for sale for sale Limerick, Car parts for sale, vehicle parts for sale, car accessories for sale to buy in Limerick. This page is a classified ads listing for Car parts for sale, vehicle parts for sale, car accessories for sale Limerick. This listing includes classifieds for sale and to buy in Limerick. If you posted an advertisement on Car parts for sale, vehicle parts for sale, car accessories for sale, Limerick before please use Edit my ads button to change or cancel your ad. Car parts for sale, vehicle parts for sale, car accessories for sale Limerick ads Limerick, Car parts for sale, vehicle parts for sale, car accessories for sale classifieds Limerick, Car parts for sale, vehicle parts for sale, car accessories for sale free ads Limerick, ads for sale Limerick, ads to buy Limerick, FREEADS in Ireland. Find here ads for sale, to buy and rent in Limerick. Goods for sale in Limerick, vehicles for sale in Limerick, Limerick real estate for sale, Limerick property for sale, property for rent in Limerick, business ads in Limerick, Limerick business classifieds, services in Limerick, Limerick services ads, jobs in Limerick, pets for sale in Limerick, Limerick dating, Limerick cars for sale.